This little-leaf fig has grown to massive proportions in this row of three. The large branches that this tree has lost are comparatively small to the total mass of this tree. 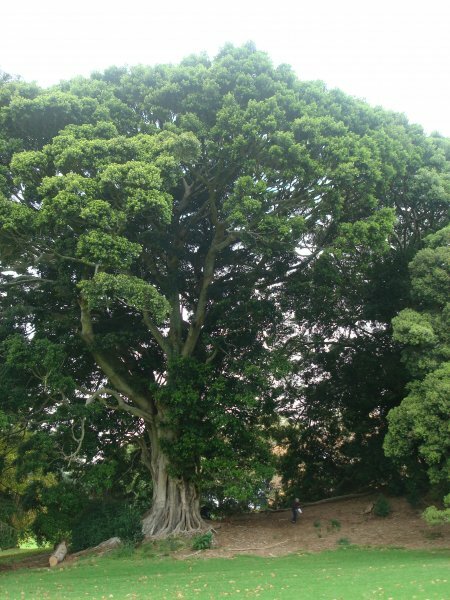 It is growing beside a large Araucaria bidwillii and another large F. obliqua and has an Elaeagnus growing around the northern side of its trunk. Be sure to see this tree when you're at the park as it would be easily passed by presuming it to be the more commonly planted F. macropyhlla. 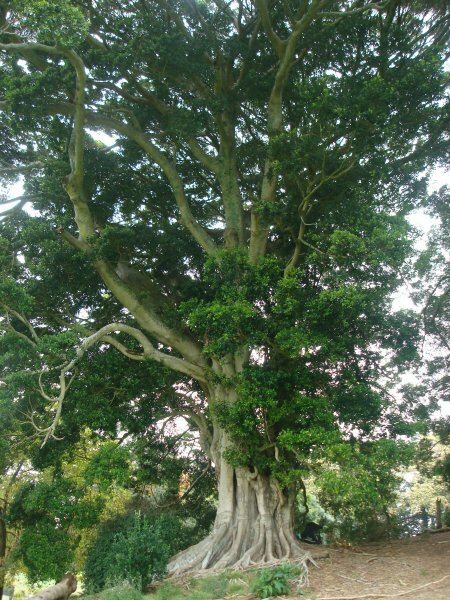 This is a very rare tree for Auckland, especially at this size (VanWijngaarden, R. 2012). This tree is very healthy in this location, despite having some deadwood throughout the underside of the canopy (2012). 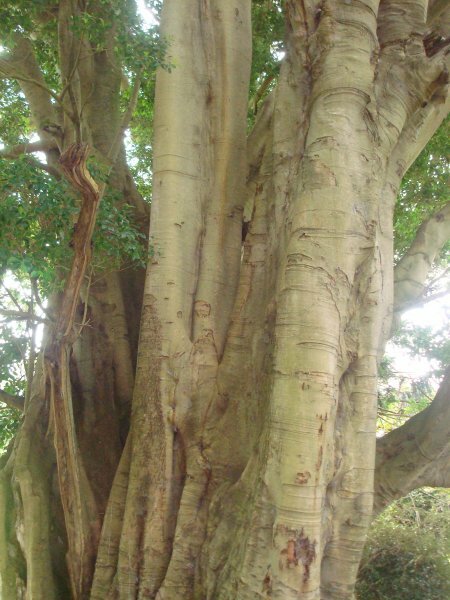 This tree appears to have several fused stems forming one trunk that branches off into several massive limbs at about 2-3m. 10 Jun 2012 VanWijngaarden, R.